The Russo-Iranian military coalition in Syria may be deeper than many have believed. The Iranian armed forces appear to be allowing Russian aircraft to use their military airfields in support of combat operations over Syria. This development is remarkable: Iran is one of the most virulently anti-colonial regimes in the world, and yet it is allowing a former colonial power that had partitioned Persia with Great Britain to place military forces on its territory. But Russia likely requires access to an airfield in Iran to support its military operations in the region, and Tehran seems willing to permit it. Contrary to Western analysts’ arguments that Russia is marginalizing Iran in Syria or even driving it out, Russia appears to be more dependent militarily on maintaining a strong relationship with Tehran than has been previously thought. Iranian fighters have been escorting Russian bombers as they transit Iranian airspace for some time, as can be seen in a video filmed and released by the Russian air force (reported by The Aviationist). Military aviation specialist Babak Taghvaei reports (as cited by The Aviationist) that Russian Tu-95MS Bear, Tu-160 Blackjack, and Tu-22M Backfire bombers have flown a southwesterly path through Iranian airspace since late November on their way to missions against rebel and Islamic state forces in Syria, flying southwest of Tehran, passing Esfahan and Ahvaz, and crossing over the Iraqi border north of Basra. Satellite imagery recently obtained and analyzed by AllSource Analysis now shows that advanced Russian combat aircraft have used Iranian Air Force bases to stage on the way to or from bombing runs in Syria at least once. One such combat aircraft, a Russian Su-34 “Fullback” strike fighter, was seen on the main parking apron of Shahid Nojeh Air Base in the northwestern province of Hamedan, Iran on November 23, 2015 and remained there for at least two days. An Il-76 “Candid” transport aircraft arrived likely in the afternoon or evening of November 24. Both had departed by December 5, according to AllSource analysts. The Su-34 is an advanced fighter-bomber with a range of 2,500 miles (with a full weapons load) that is capable of aerial refueling. It is reportedly capable of attacking four targets simultaneously and can fire air-to-air missiles as well as air-to-ground ordnance. Its cockpit is armored to allow it to engage in close air support operations like the U.S. A-10. It supposedly has a greatly reduced radar cross-section, making it harder to detect and track, and advanced radar and avionics. The timing of the aircraft sightings suggest that the Su-34 may have developed mechanical trouble, landed at Shahid Nojeh Air Base, waited for the Il-76 to arrive with maintenance equipment and/or personnel, and promptly left. AllSource analysts have not seen indications that Russian aircraft have used this air base at other times, although Taghvaee’s graphic shows two Russian Il-78 tanker aircraft on stand-by based out of Hamedan (without offering any evidence for that claim, however). Shahid Nojeh Air Base, however, offers certain advantages if Tehran’s aim is to conceal the active support it is giving to Russian military operations from its own territory. Although Iran has many airfields on the flight-path of Russian planes flying to and from Syria, Shahid Nojeh is a purely military airfield with no civilian element, and it is located well away (about 50 km) from the nearest significant population center, Hamedan Province’s capital, Hamedan City. It is ideal for providing covert ground support to Russian combat missions. The base itself is otherwise relatively unremarkable and strategically unimportant. English- and Farsi-language bloggers have noted that it has housed the 31st TRS (Tactical Reconnaissance Squadron) and the 31st TFS (Tactical Fighter Squadron) with RF-4 and F-4 D/E Phantom fighter-bombers. Iranian news footage indicates that the F-4s flew out of the base as of mid-2014. The base does not appear to have an organic complement of F-14s, for example, or of any of the Soviet-made aircraft that make up the relatively more advanced elements of Iran’s air force arsenal. The base is nevertheless quite large with a 15,000-foot runway, extensive taxiways, and multiple hangars and bunkers—all seemingly in good repair. It is an ideal facility for Russian aircraft to stage from. 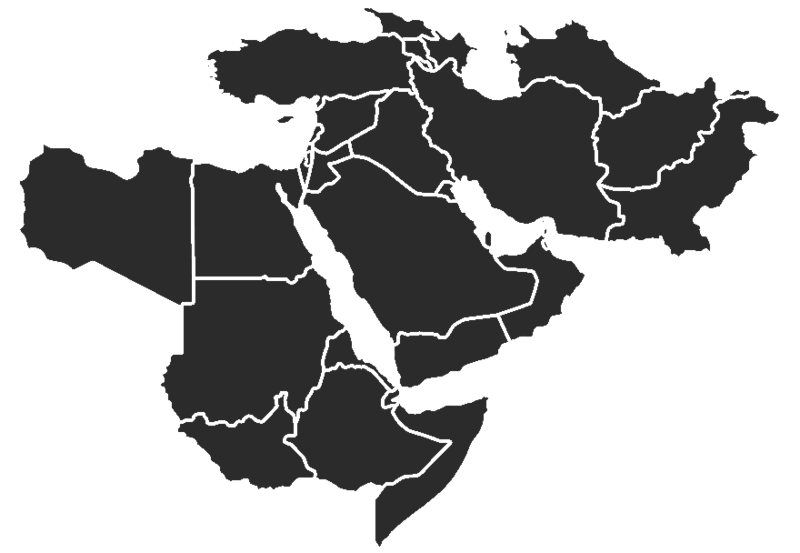 In addition to highlighting the irony of the Islamic Republic of Iran, a fiercely anti-colonial state, in allowing a former imperial power to re-establish bases on its terrain, this incident also shows the degree to which Russia needs a strong relationship with Iran to continue significant military operations in Syria without dramatically expanding its footprint there. Vladimir Putin has been using aircraft and naval vessels from Russia and the Caspian and Mediterranean Seas to attack targets in Syria in order to demonstrate his ability to project force over long distances. He could not sustain the intensity of the air campaign he is now waging in Syria without assets such as the long-range bombers and fighter-bombers that remain based in Russia, however. Shifting those bombers—like the intercontinental-ranged and nuclear-weapons-capable Blackjack—to Syria would be extremely provocative. It would also expose those airframes to attack by rebels who are often able to come within rocket and artillery range of the Latakia airfield at which they would be based. Putin therefore requires a clear and reliable air corridor from Russia to Syria. That corridor must transit Iranian airspace, given the rising tensions between Russia and Turkey. But the flights are long, and prudence requires the ability to set aircraft down on the way to or from their runs into what is, after all, a dangerous combat zone. Some sort of agreement for at least in extremis landing and maintenance operations in Iran is therefore necessary. This fact increases Russia’s dependence on Iran and suggests that there will be limits to the degree to which Putin can afford to antagonize Iran’s leaders in pursuit of his own policies and interests in Syria.